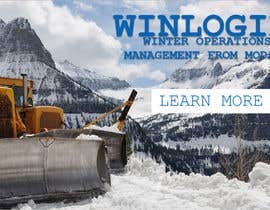 I have a software service, Winlogix ([login to view URL]) which is an operational management system for winter services: gritting the roads and ploughing snow off the roads. I have one customer and I am now looking to sell the service to more. 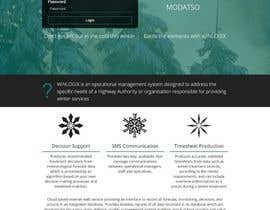 I am attending 2 trade show in April and May and am looking to get the landing page for the software service redesigned to be more attractive and sales worthy than the functional one in place currently. So I would like one that incorporates the information on the current page but that is attractive when potential customers land on it. 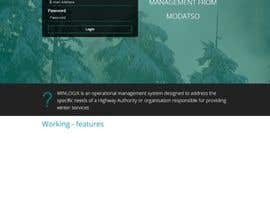 Theme wise I would like it to be clear this is a Winter Services software service. Other than that I am looking for inspiration and the one that grabs my and my business partners eye, whilst being standards compliant, efficient and clean will be the winner. Please contact me so that i can send you the compressed folder. I have updated my bid with pictures from each part of the landing page. Sorry just getting started out and I can't afford to pay for a design I'm not going to use. Can you provide me with some photos/images? If you wish anything to be changed/removed/added just say. is that complete information on existed website or you want other pages too ? 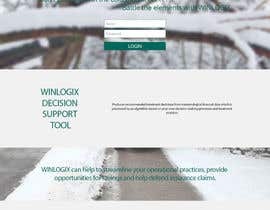 I just want the page you see on www.winlogix.co.uk redesigning.The rest of the software when you logon is staying as it is.